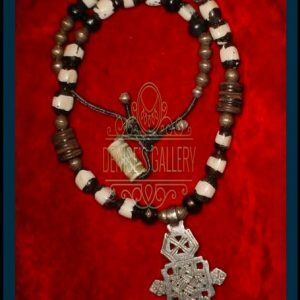 ANTIQUE, Striped VENETIAN GLASS & COPTIC CROSS TRADE BEAD NECKLACE. 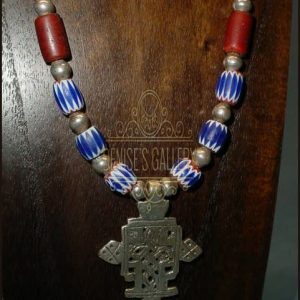 This Uniquely designed, Handcrafted, Coptic Cross Pendant is handsomely accented with two Antique, (early to mid 19th century) Striped, Venetian Glass Trade Beads, Coin Silver Bicone Beads and a Nickel Free, Metal Hook Closure. 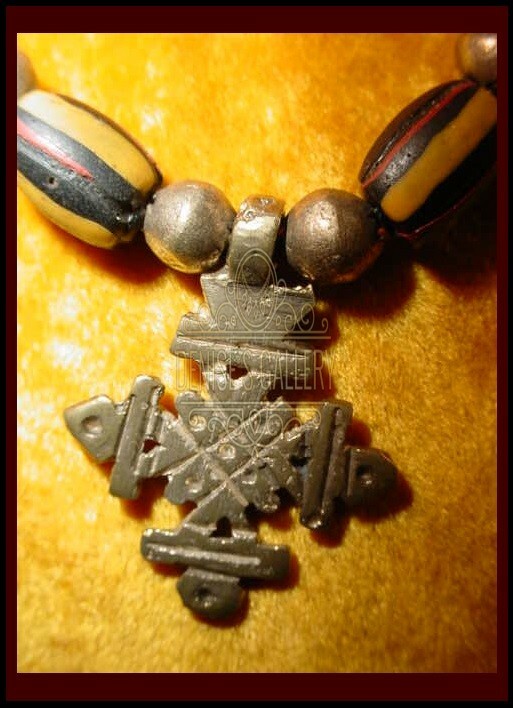 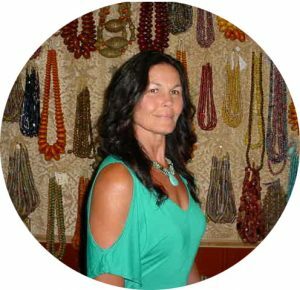 Coptic Crosses & Coin Silver Bicone Beads are Handcrafted in Ethiopia. 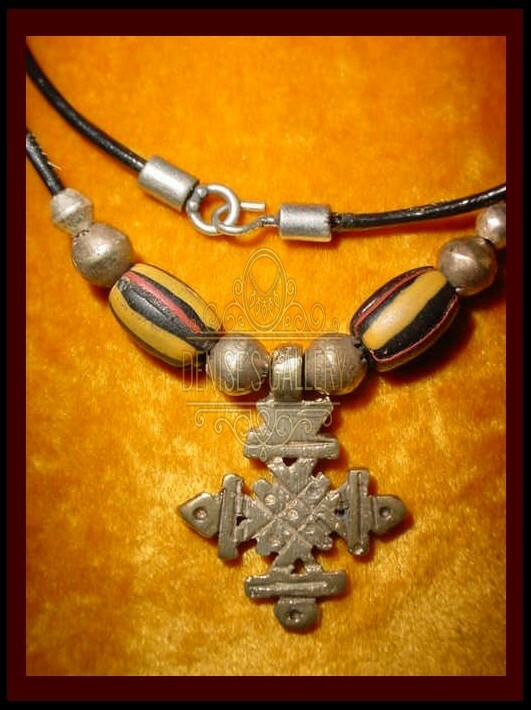 Coptic Cross Pendants are worn as symbols of Christian faith. 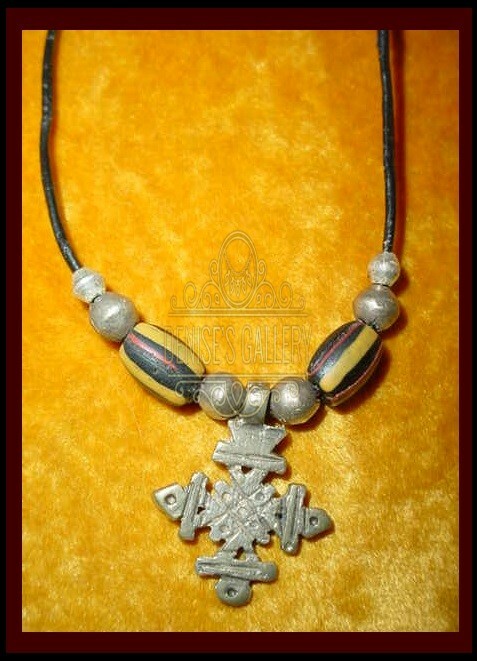 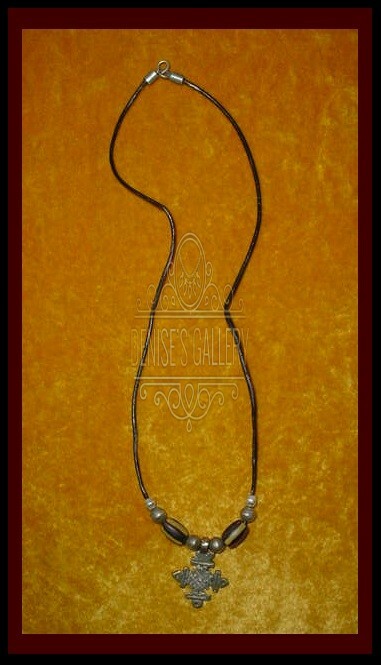 This Awesome, Handmade, Coptic Cross Necklace measures approximately 21 inches long looped. 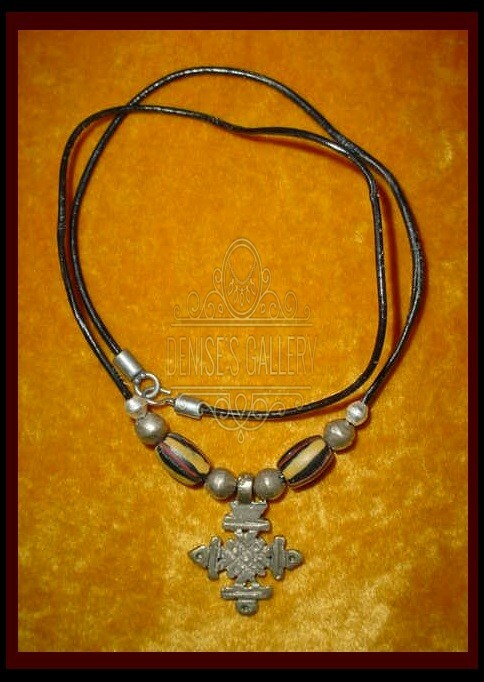 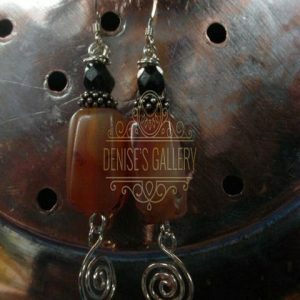 Beads are strung on a Genuine 2 mm Black Leather Cord.